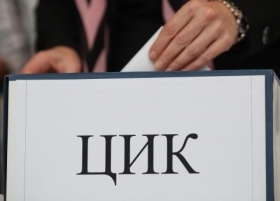 An inconsistency in rule-formulation by Bulgaria's Central Electoral Commission has in effect lowered the election threshold of 4%, warned activists (the team of Institute for Public Envronment Development) Monday. In an internal regulation passed by the Commission Friday, it is stipulated that the number of votes to get in parliament is calculated as 4% of the valid votes cast for "all lists of parties and coalitions." This leaves out the votes cast for independent candidates and civic lists, warned activists from Bulgaria's Open Parliament blog. Apart from illicitly discounting in advance the number of those votes as insignificant, the rule in effect lowers the election hurdle. Election authority spokeswoman Ralitsa Negentsova has reacted by saying that the body will check the case and if an error has been made, it will be rectified. Bulgaria's Central Electoral Commission is in preparation mode for early elections, expected to be scheduled May 12.